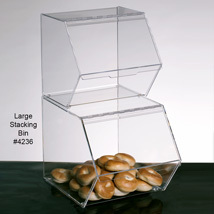 Utilize your tabletop space with this pentagon shape food bin. Made of food safe material, it will be great for bulk items such as candies and baked goods. Front flip open door provides easy access and keep food sanitary and fresh. It will sit securely on any counter top with non-slip rubber feet bottom. 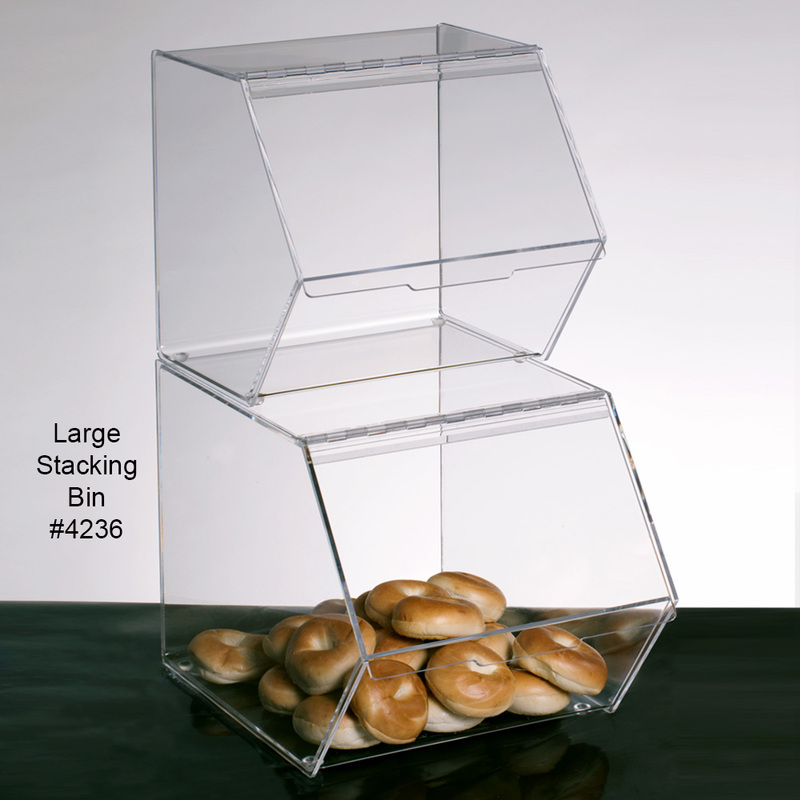 Works well with#4235 to create a stacking storage bin display unit.